Attorney Joseph H. Spiegel represents clients in business-related litigation involving internal review investigations. He also provides experienced counsel in business formation and strategy, helping clients avoid problems and costly litigation down the road. Regardless of the particulars of your case, it’s important to work with a proven business law consultant to ensure a clear understanding of your options and outlook. With four decades of experience in mediation, arbitration and business consulting, Mr. Spiegel serves as a comprehensive legal partner for all of your legal needs. Attorney Joseph H. Spiegel offers extensive experience with cases in which a Michigan employee engages in unethical and/or illegal activity. Working alongside corporate clients interested in preserving principled business practices, Mr. Spiegel is committed to investigating the alleged offense and correcting any and all errors. If you are currently in need of business consulting services regarding an internal review, schedule your initial consultation today. Corporate disputes can occur between a partner, shareholder, vendor and/or a disgruntled former employee. These types of disputes can include breach of contract, business fraud, embezzlement and a whole host of others. 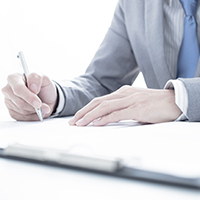 These require experienced litigation skills to preserve business assets and operations. For more than 40 years, Mr. Spiegel has dedicated his career to protecting the rights and interests of Michigan clients, securing millions of dollars on behalf of aggrieved shareholders. One of the best ways to avoid litigation and disputes is by working with knowledgeable legal counsel during the early stages of your business. Attorney Joseph H. Spiegel can assist you in forming corporations, LLCs and other types of corporate formation, as well as with corporate structure and strategy, employee matters, contract negotiation and commercial real estate transactions. Let Mr. Spiegel’s wealth of experience help you build a healthy foundation, avoid future risk and ensure continued growth. Joseph H. Spiegel PLLC offers internal reviews and consulting services to businesses throughout Ann Arbor. For your protection, we do not accept emails. Call (734) 761-8475 now to schedule your confidential consultation.